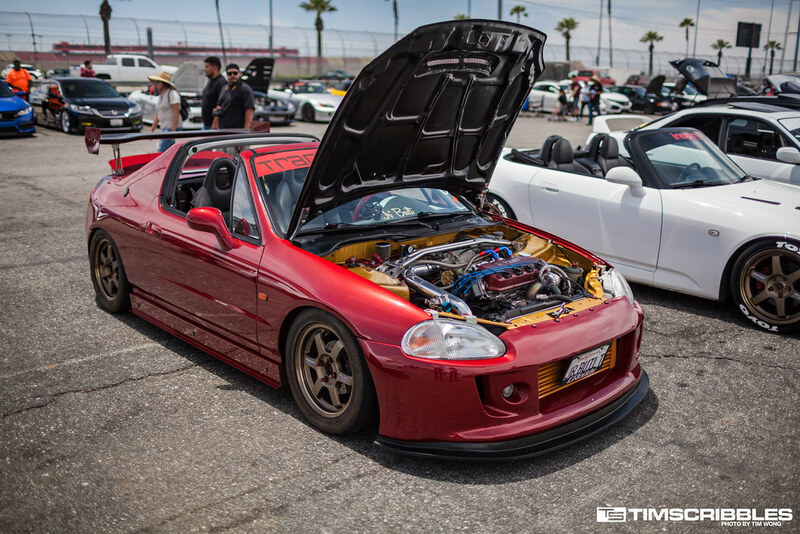 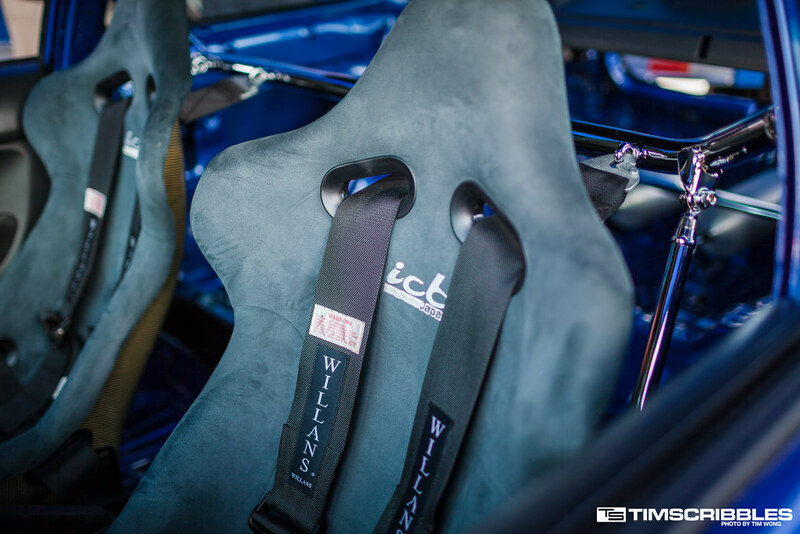 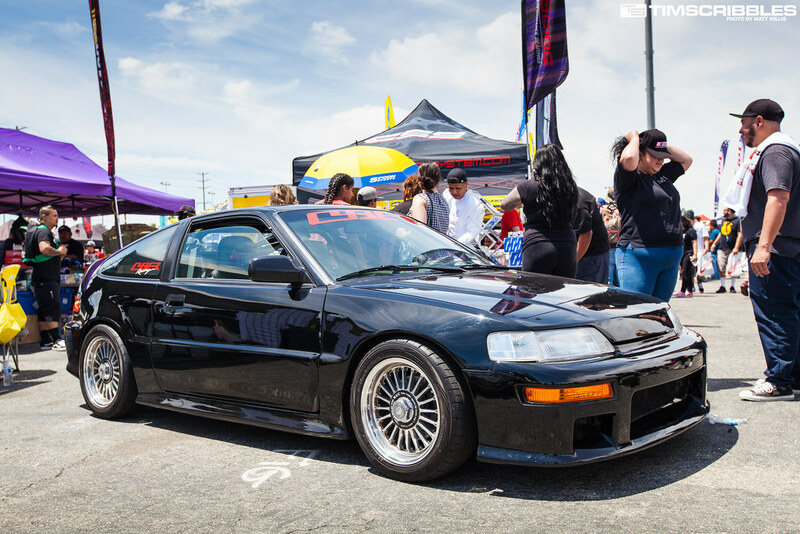 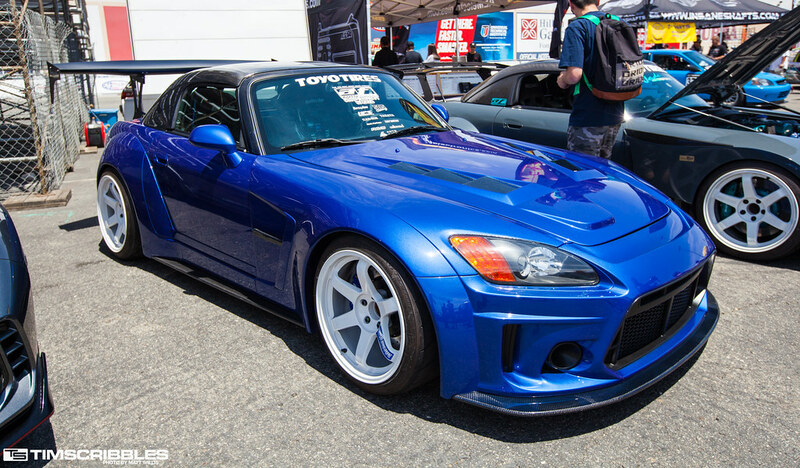 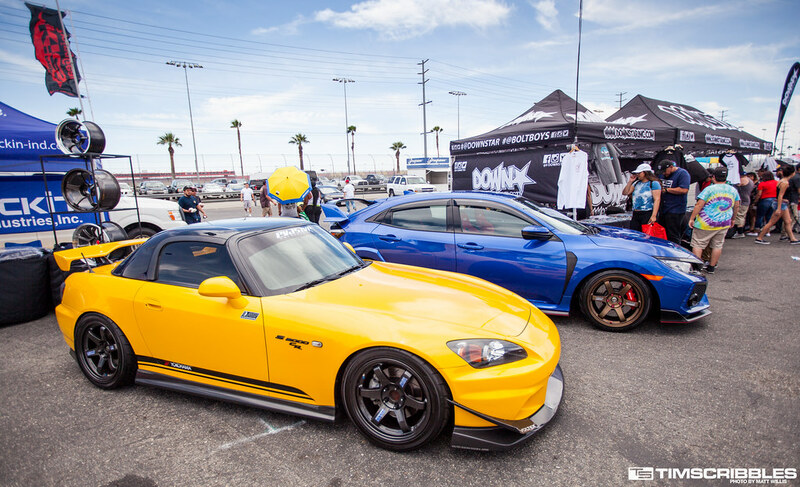 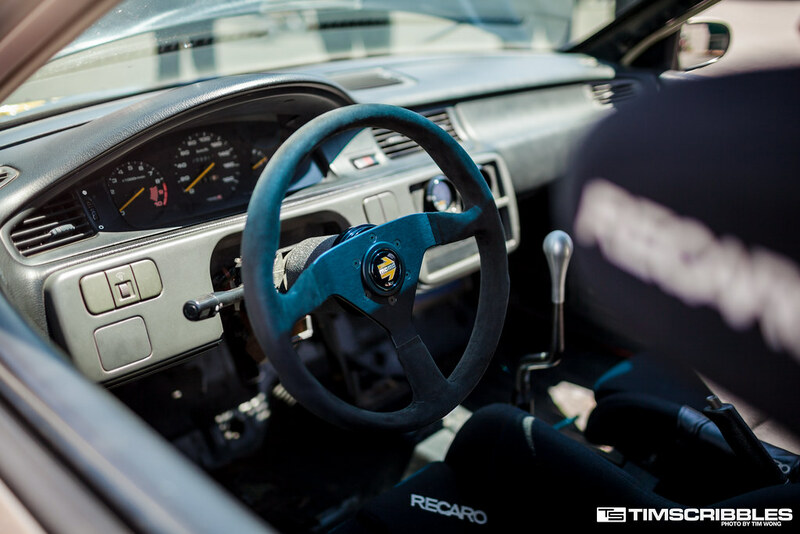 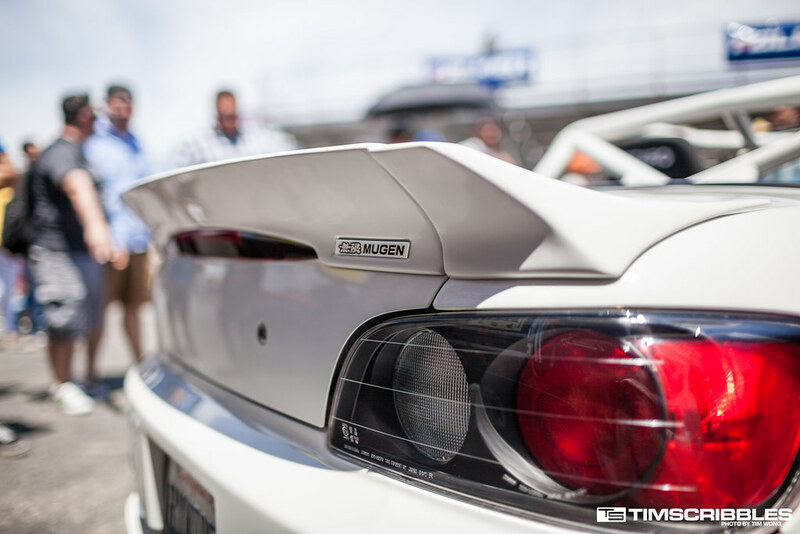 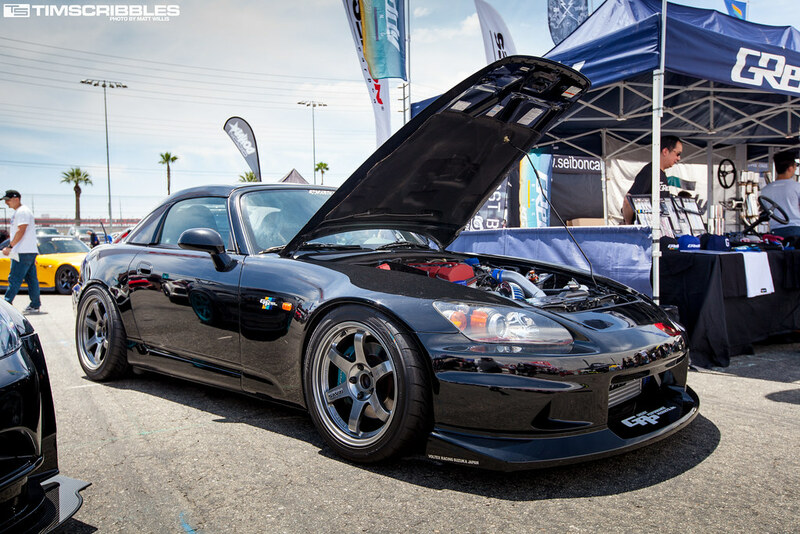 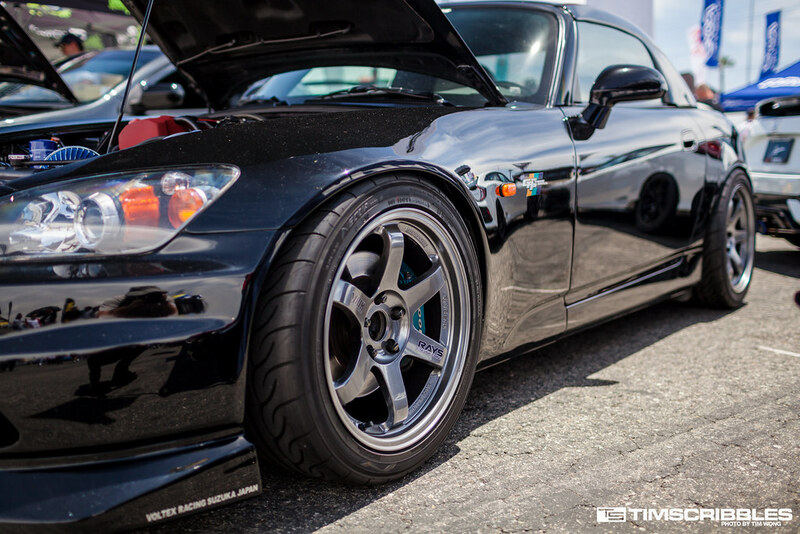 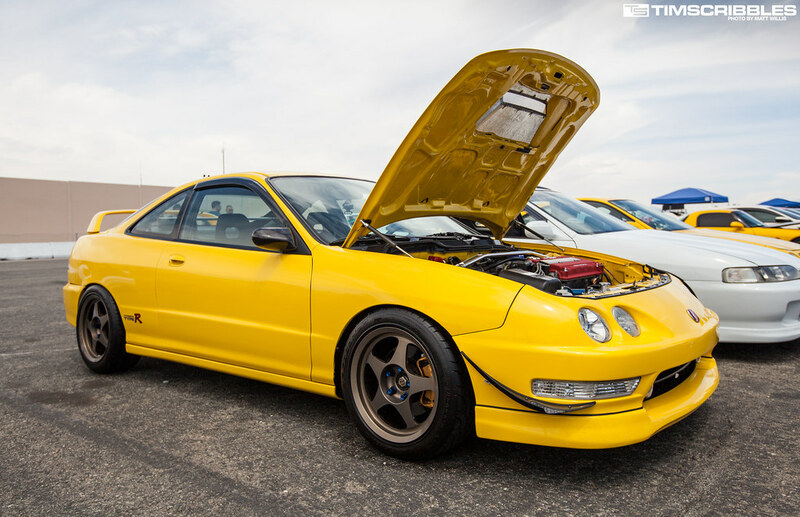 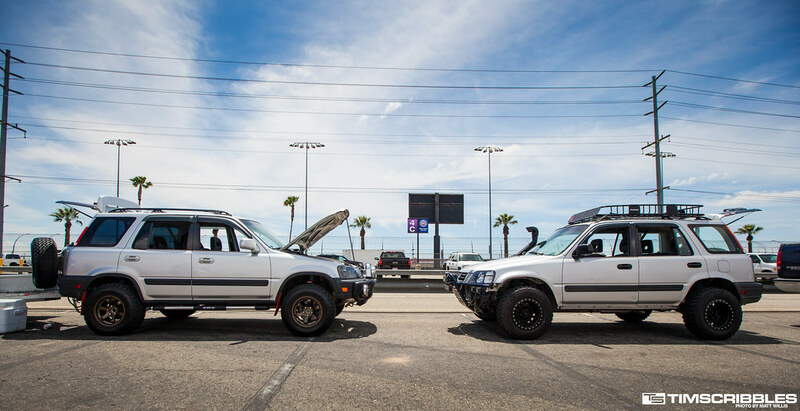 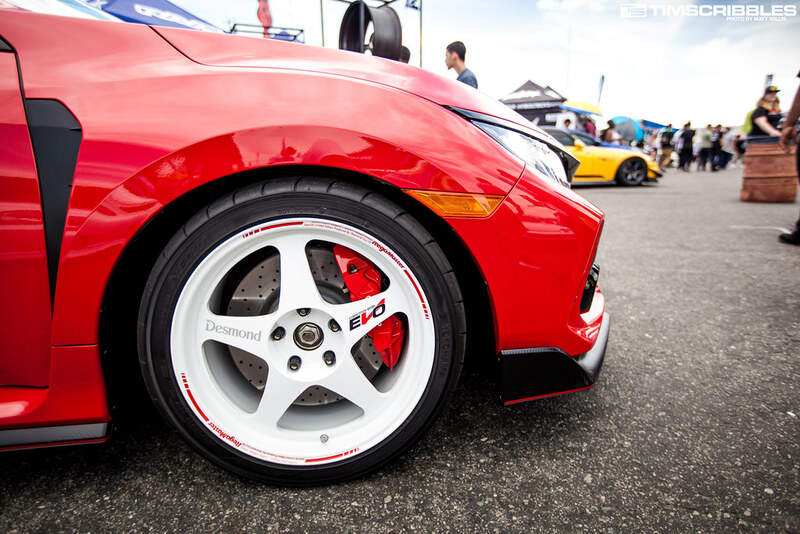 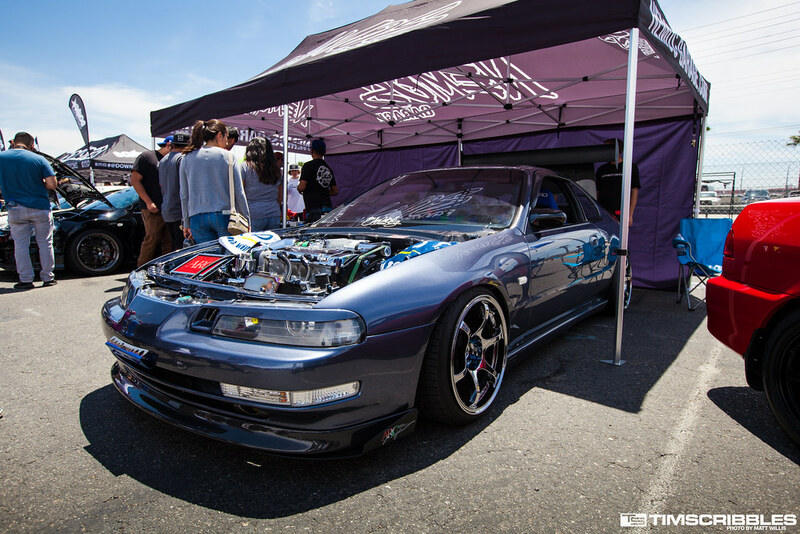 Earlier this month we made another run up to Auto Club Speedway, this time for the Eibach Honda Meet. 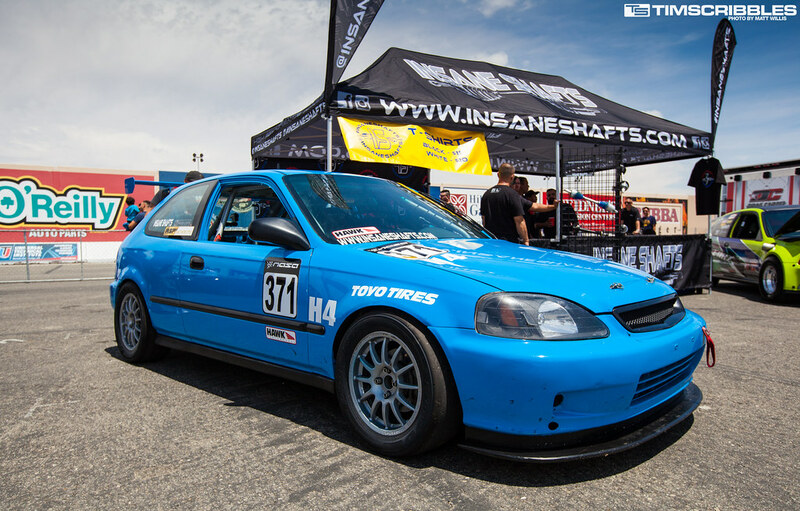 I didn’t make it to this last year when the meet relocated from the stadium in Lake Elsinore – so I was going in with a pretty clean slate. 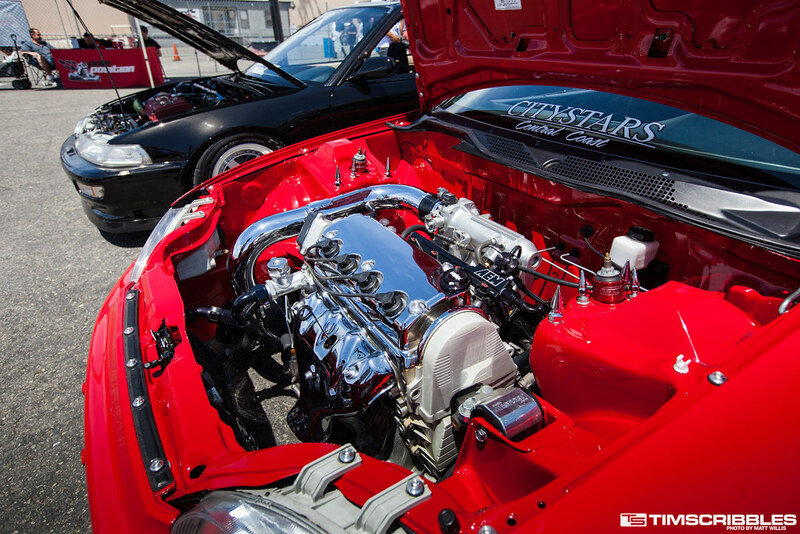 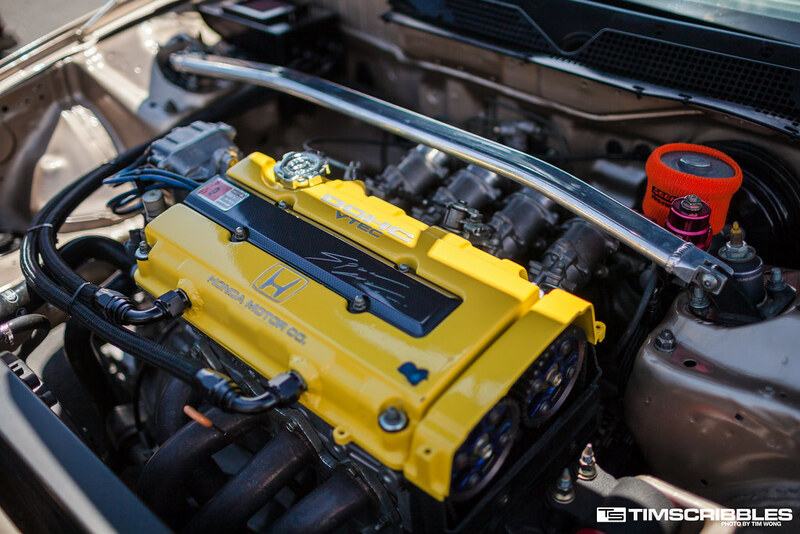 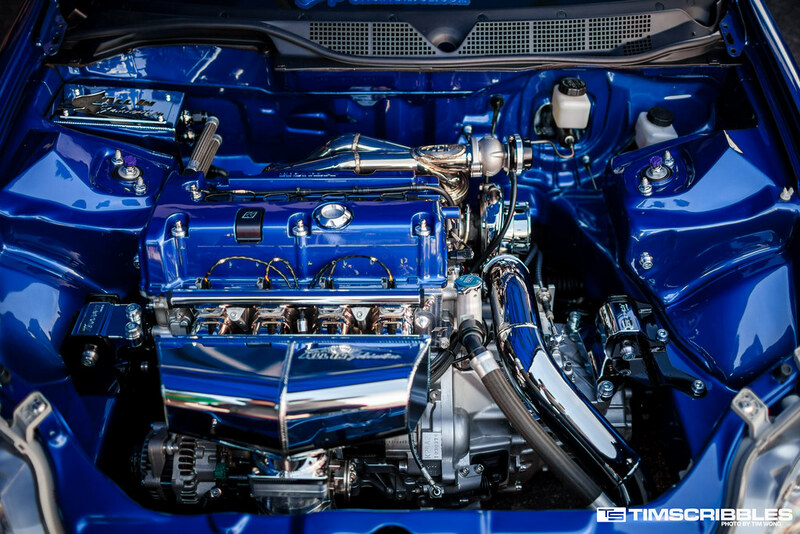 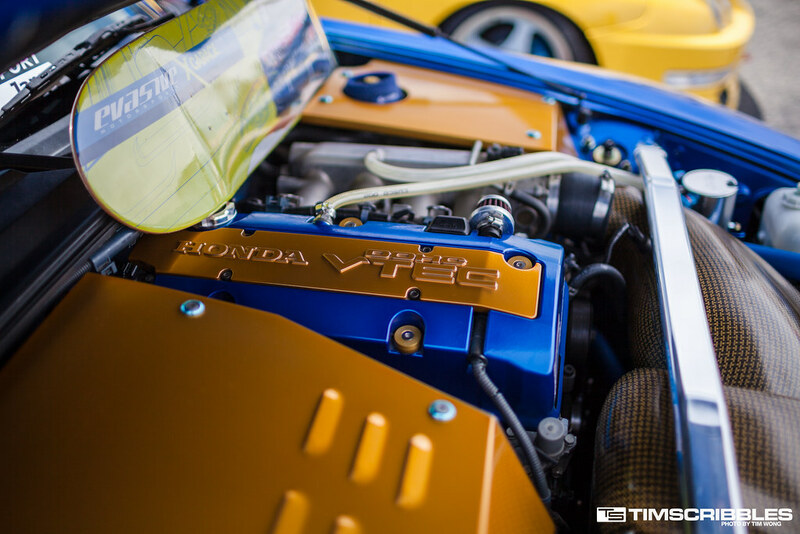 One thing still remains synonymous with this meet – high-quality, iconic Honda builds. 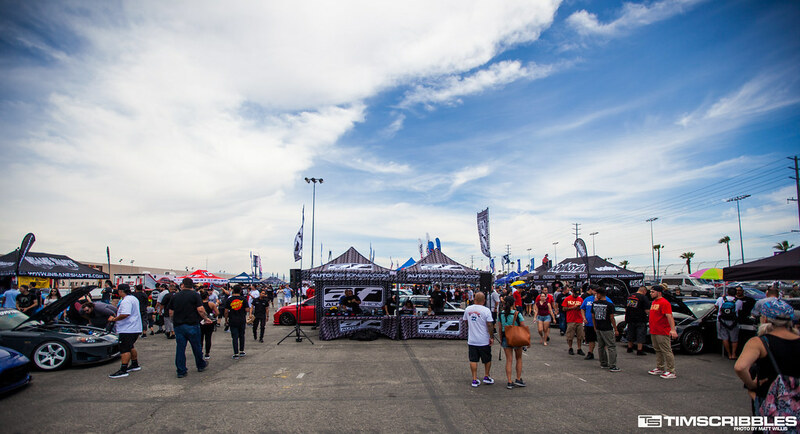 And though the trends and venues have changed over the years, I believe the expectations for this event certainly haven’t. 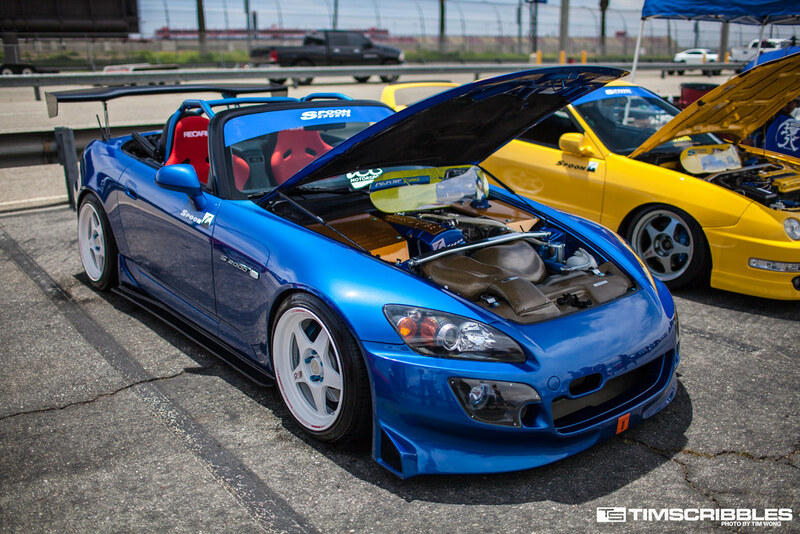 Though I’m dreadfully tired of TE-37s, you can’t argue that when they are sized perfectly and their color goes with the car, they can be the centerpiece. 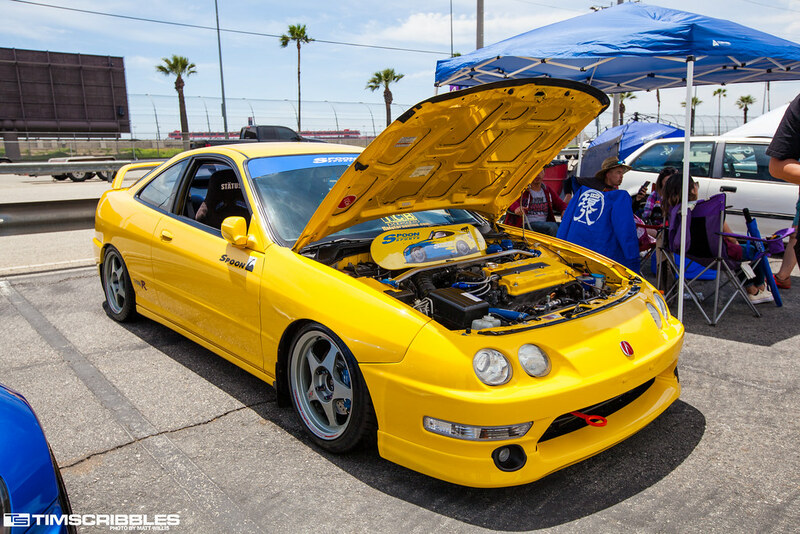 Stunning 97 DC. 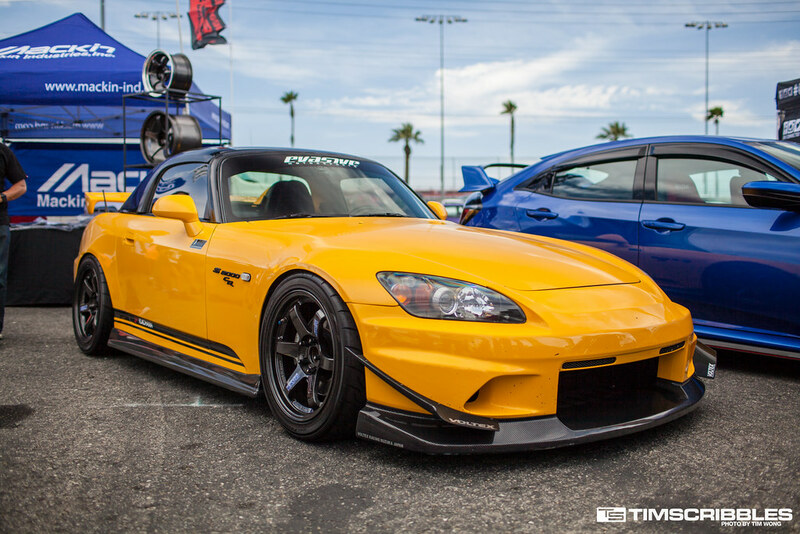 In recent years I’ve really taken to the front end design on these! 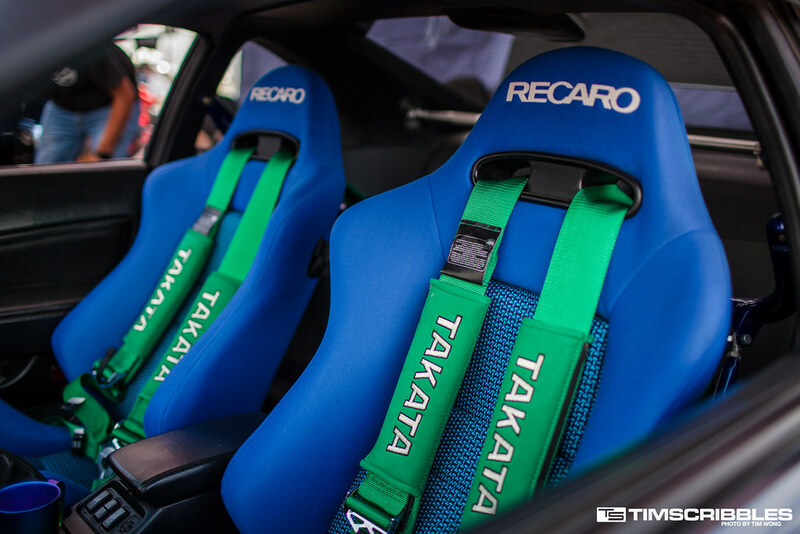 Spoon clusters get me right in the heart – every time. 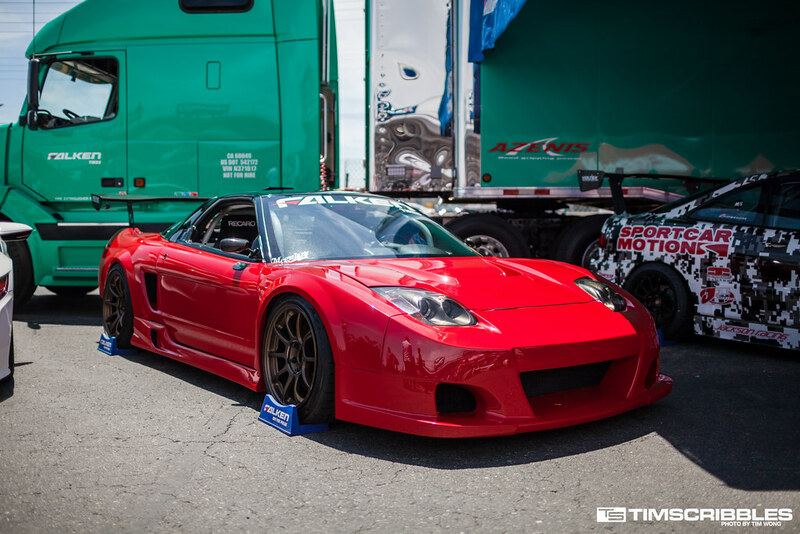 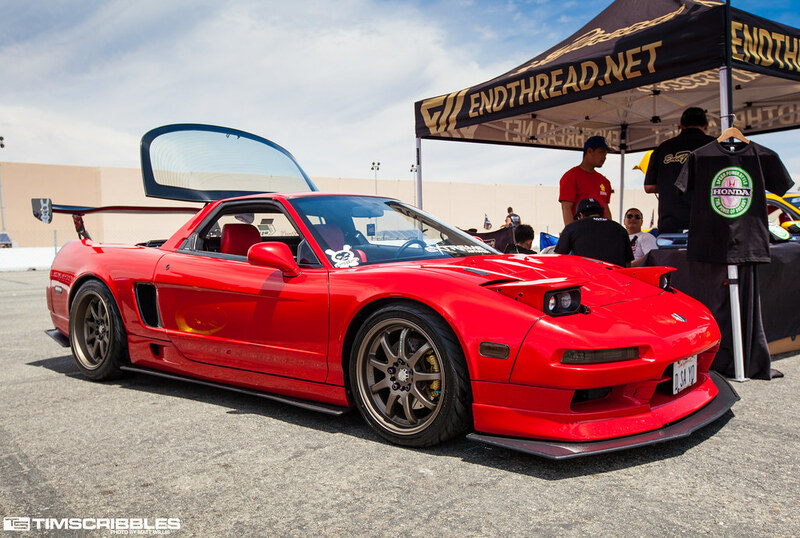 Awesome 1st-generation NSX. 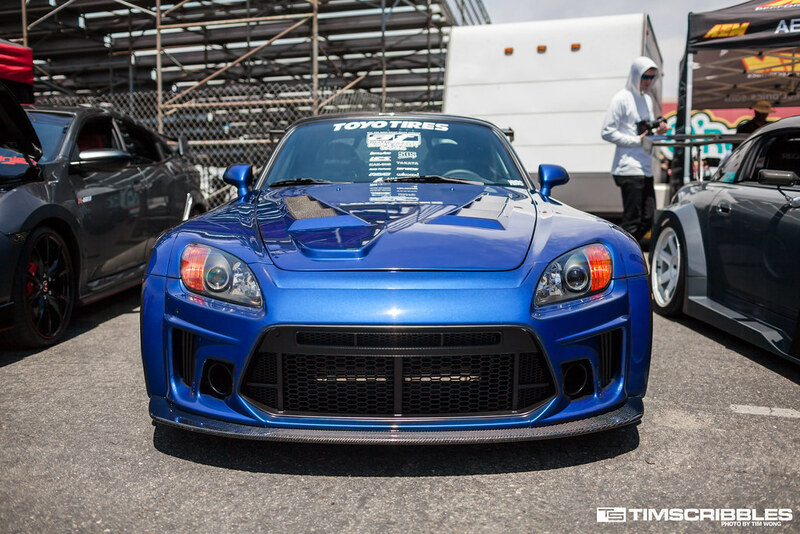 The retrofit on the headlights was icing on the cake. 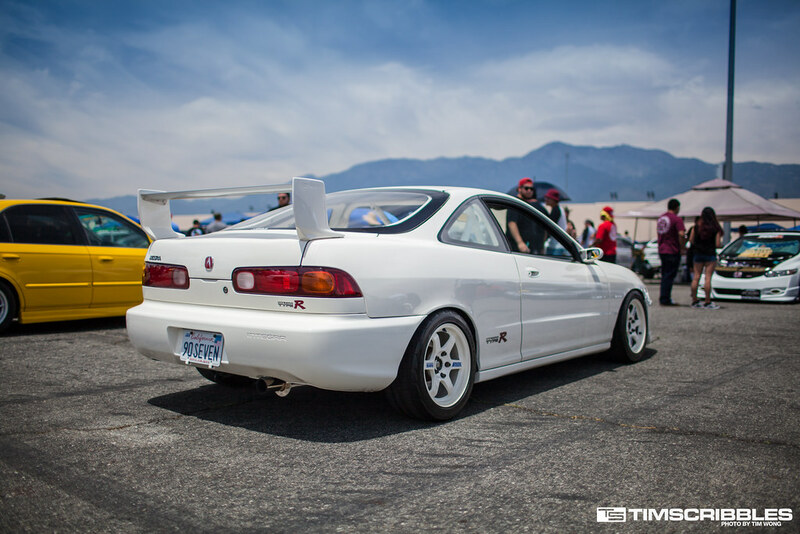 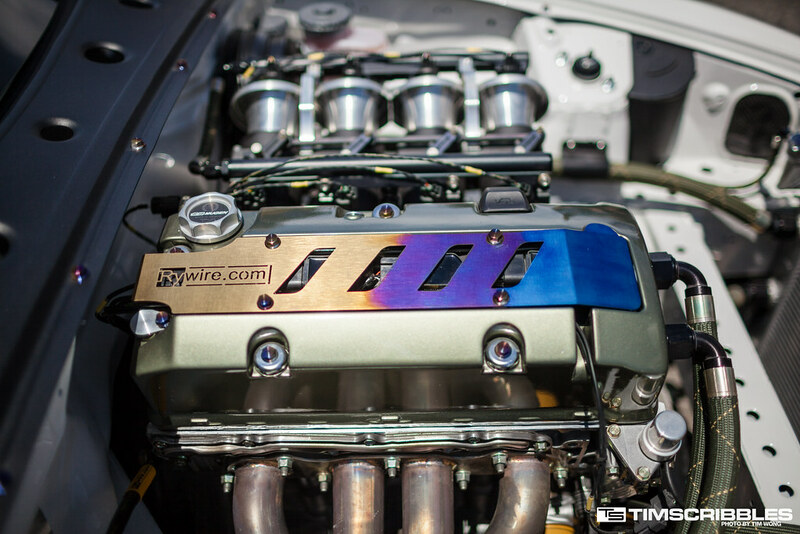 Loving this Spoon-themed, UKDM-themed DC2. 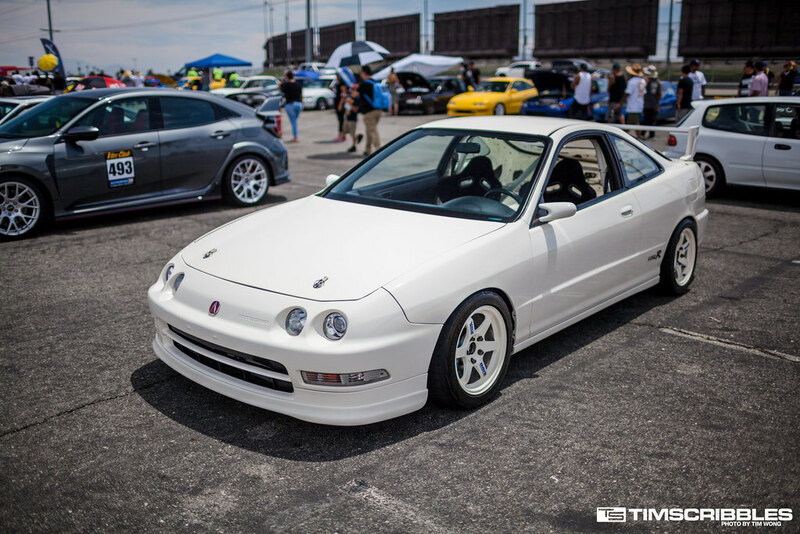 This EG is still one of my favorites over all these years. 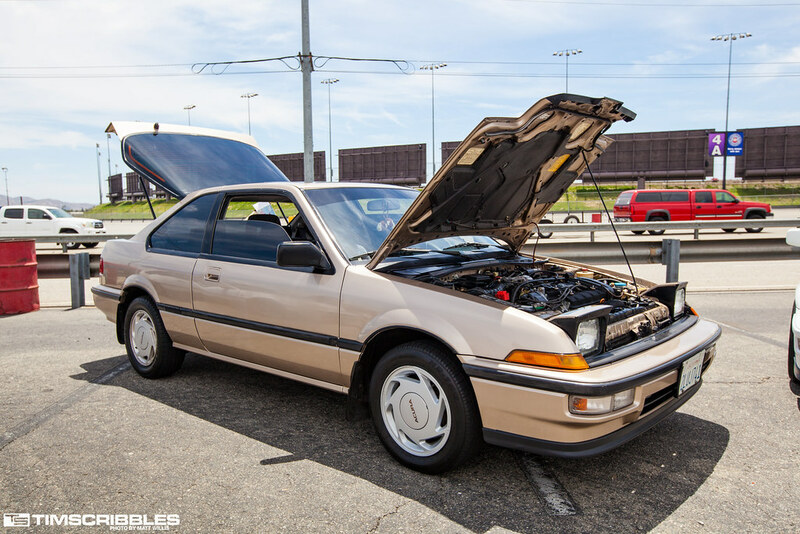 The color, contrast, simplicity, attention to detail and fluent Spoon incorporation all combined make this car such a gem.